Your application interface requires non-standard manipulation controls, but the instrumentation components libraries you have access to are not enough flexible and do not allow you to achieve the results you desire? Instrumentation Model Kit is a revolutionary solution in the field of instrumentation and graphic components for .NET. 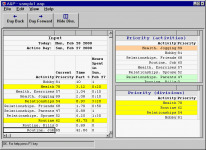 Full featured graphics editor allows creating new visual components having unique look and functionality by means of a few mouse clicks. It can be both common controls: ProgressBars, Meters, Dials, Sliders, Gauges, Odometers, Thermometers, Switches etc. and specialized elements: Manipulators, Scales, Special-purpose Devices and many others. At the same time it is not necessary to create new controls starting from nothing â€“ a rich library of ready-made components prepared by our designers is included in the package. The elements you create can arbitrarily combine drawing primitives, bitmapped images and specialized elements (scales and sliders). The setting of controlsâ€™ appearance is simplified by means of controls styles utilization. Elaborate interactive objectsâ€™ action can be assigned without a single line of code. 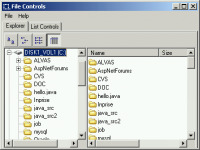 The use of the given controls is by no means different from the one of any other components. 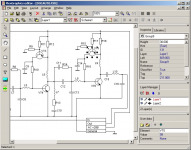 It is enough to simply place a control onto the form and select an instrument from the library using the wizard, load it from the file or create a new one in the graphics editor. 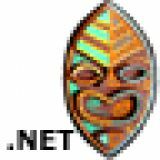 This is the library of 100% .NET managed components written in C#. 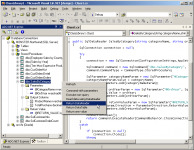 It can be used with Visual Studio .NET 2003 or any other IDE supporting .NET Framework 1.1 (C# Builder, Delphi 8). Runtime is royalty free. Full source code is available. It is an ideal solution for creating hardware emulators, Computer Assisted Training, SCADA systems and human-engineered interfaces.